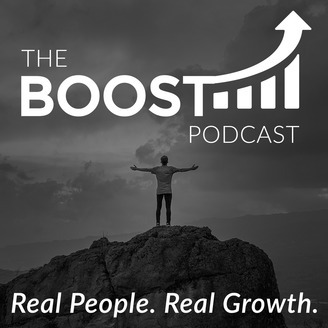 The BOOST Podcast is a weekly podcast where Elena Lipson chats with real people about their professional and personal growth. Elena has benefited from intentionally blending her professional and personal growth. She grew her consulting business, Mosaic Growth Partners, to six figures in her first six months while living her best life, traveling, sight-seeing and closing deals in DC, Miami and California. If you’re looking for ways to accelerate your professional and personal progress, BOOST will provide inspiring stories from entrepreneurs, athletes, healthcare professionals and real people like you. Each episode features a guest who shares their growth story - how it started, stall points, and strategies for maintaining their mental and physical health while intensely growing their business. 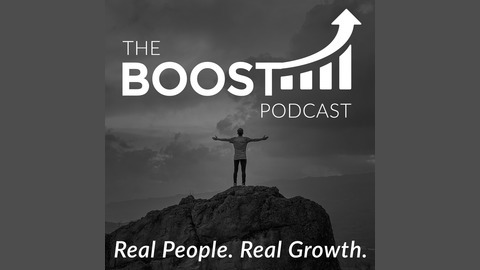 To hear real stories from real people that will inspire you to find your passion and thrive and to get your BOOST BONUS, join the BOOST Squad at www.mosaicgrowth.com. I'm excited to introduce today’s featured guest, Katherine Tallmadge. Katherine is a licensed and registered dietician. She founded Personalized Nutrition in 1984, which designs nutrition, weight loss and wellness programs for individuals, corporations, and restaurants. She’s also the author of Diet Simple and an award-winning journalist, regularly contributing to The Washington Post, US News and World Report, Politico, and others. You may have also seen her on TV as she’s been featured on CNN, many of the major network news programs, PBS, and The Daily Show. Given Katherine’s unique professional qualifications — she has a B.S in Dietetics and Nutrition, an M.A. degree in Behavioral Sciences, and a second M.A. degree in Journalism and Public Affairs — it’s not surprising that The Washington Post and Harper’s Bazaar have named her the "Best Nutritionist". Her appearance on the show today couldn’t be more timely. The holidays are here and in addition to friends, family, and fun, it can also mean more stress and more food. Katherine is going to share some tips to help us maintain our sanity and ensure that we still fit into our jeans at the end of the year.